Keeping your vehicle in good condition can be a challenge in Littleton, CO and that is why we offer a full list of automotive repair and maintenance services that will help keep your car, truck or SUV operating at its peak level of performance. Here at Hartman Automotive we understand that auto repairs are rarely at the top of your to­do­ list but there are times when they become necessary. We know how much you depend on your vehicle for day to day activities and we pride ourselves on our excellent customer service as well as our ability to quickly diagnose any issue you may be experiencing on your daily commutes. That means whenever you notice an odd noise or smell when operating your vehicle it is a good idea to give us a call. We have the latest tools and know how to get you back on the road in a vehicle that is both safe and reliable. As with any problem in life it is best to catch it when it is small and manageable. Allowing small cracks or leaks in your belts and hoses to go unnoticed will eventually cause bigger problems down the road. We like to get to know our customers and their driving habits, so after an initial inspection we can provide you with maintenance suggestions that will hopefully keep more involved repairs at bay. 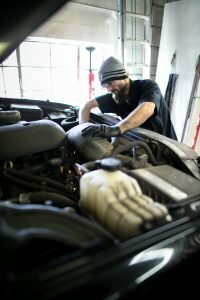 Your check engine light is also known as a malfunction indicator light and will come on anytime your onboard computer senses a “fault.” This can mean a hundred different things but it is always best to get your check engine light diagnosed sooner rather than later. We can easily read your trouble codes and our expert technicians here at Hartman Automotive will provide you with solutions to resolve your check engine light issue. So if you are experiencing any excessive vibrations on the freeway, your car won’t start, or you hear a funny noise while driving feel free to give us a call, drive on into our shop or schedule an appointment online and we’ll be happy to help you with all your automotive needs.